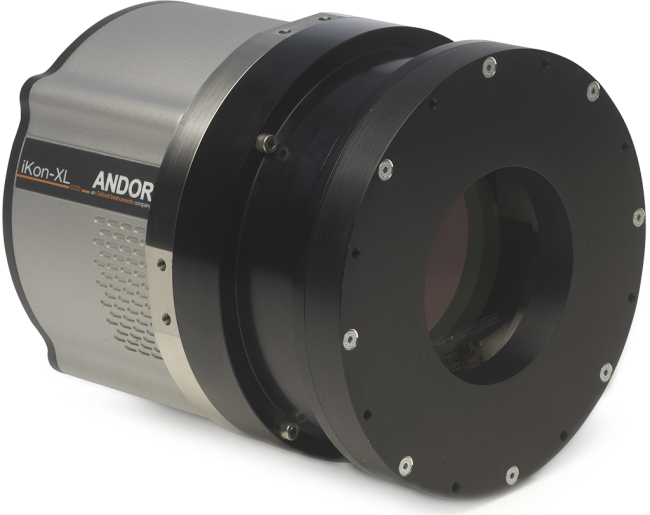 Andor Zyla 5.5 sCMOS Camera | EINST Technology Pte Ltd.
Zyla 5.5 is a large field of view, high resolution 5.5 megapixel sCMOS camera, ideal for research and OEM usage. 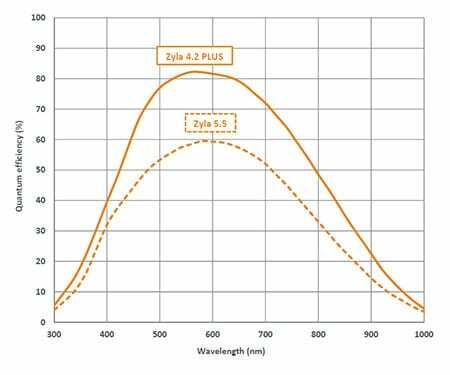 Zyla 5.5 offers a 100 fps frame rate and ultra-low noise performance, in a light, compact design. A highly cost-effective USB 3.0 version is available, offering industry fastest speeds up to 40 fps (full frame), representing the ideal performance upgrade for your lab. NEW GPU Express works alongside SDK3 to enable simplified and optimized data transfers from camera to GPU for real time processing. 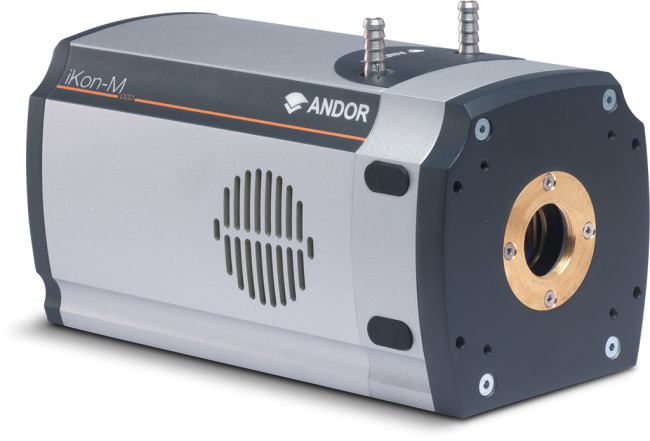 Andor’s Zyla 5.5 sCMOS camera offers high speed, high sensitivity imaging performance in a remarkably light and compact, TE cooled design. 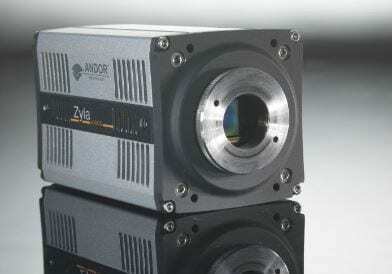 Zyla is ideally suited to many cutting-edge applications that push the boundaries of speed, offering sustained frame rate performance of up to 100 fps, faster with ROIs. A highly cost-effective USB 3.0 version is available offering 40 fps and 1.2 e– rms read noise, representing an ideal low light ‘workhorse’ upgrade camera solution for both microscopy and physical science applications, in either research or OEM environments. 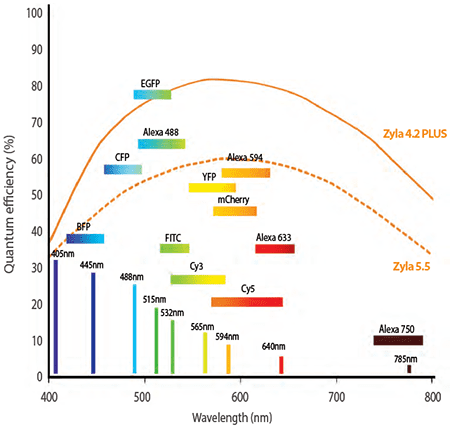 Rolling and Global (Snapshot) Shutter readout inherent to Zyla 5.5 ensures maximum application flexibility. Global shutter to the in particular provides an important ‘freeze frame’ exposure mechanism that emulates that of an interline CCD, overcoming the transient readout nature of Rolling shutter mode. 1.2 e– read noise Offers lower detection limit than any CCD. Rolling and Global (Snapshot) shutter Maximum exposure and readout flexibility across all applications. Snapshot for ‘interline CCD mode’ freeze frame capture of fast moving/changing events. Sub-microsecond inter-frame gap Global Shutter offers down to 100 ns inter-frame gap, ideal for PIV applications. Industry Fastest Frame Rates 100 fps (full frame) sustained via Camera Link . Industry fastest USB 3.0 frame rates, 40 fps (full frame). Faster speeds with ROI. 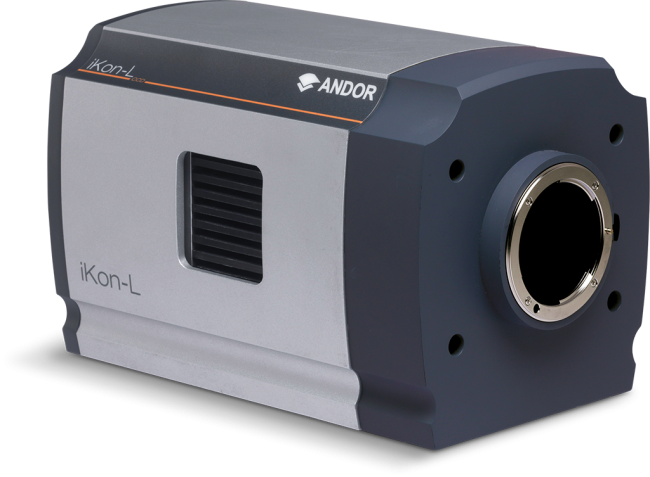 5.5 megapixel sensor format and 6.5 μm pixels Delivers extremely sharp resolution over a 22 mm diagonal field of view; ideal for cell microscopy, astronomy and area scanning applications such as digital pathology and high content screening. 12-bit and 16-bit modes 12-bit for smaller file size and absolute fastest frame rates through USB 3.0; 16-bit for full dynamic range. Low dark current: 0.10 e–/pix/s Extremely competitive optimized darkcurrent. Maintains low noise advantage across range of exposure conditions. TE cooling to 0° C in 35 °C ambient Ideal for OEM integration into enclosed systems. GPU Express Simplify and optimize data transfers from camera to Graphical Processing Unit (GPU) card to facilitate accelerated GPU processing as part of the acquisition pipeline. Compact and Light Ideal for integration into space restrictive set-ups. Perfect for OEM. Hardware Timestamp FPGA generated timestamp with 25ns accuracy. Dynamic Baseline Clamp Essential to ensure quantitative accuracy across the image area and between successive images of a kinetic series. Spurious Noise Filter Real time FPGA filter that identifies and compensates for spurious high noise pixels. Single window design Single input window with double AR coating ensures maximum photon throughput. Comprehensive trigger modes and I/O Communication and synchronization within intricate experimental set-ups.